I am getting to that age where I think I can carry on with sports and eating habits like I’m in my 20’s, but my body is changing and becoming less resilient to knocks and bruises – and delicious doughnuts. In the background there are things that could be happening that are less easy to detect – unhealthy cholesterol levels, damaged muscles and joints – and it becomes important to book into a regular health check to ensure your body is running well. It works the same for your car, and your Geographic Information System (GIS), believe it or not. 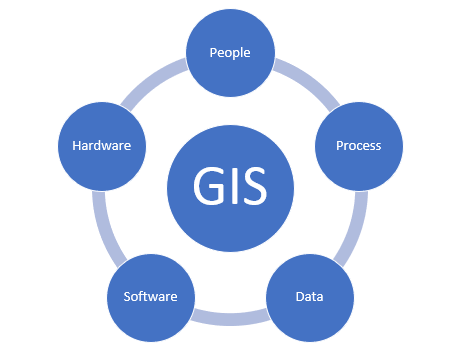 It is helpful to think of your organisation’s GIS as a combination of data, software, hardware, people and process. These 5 elements work together to function as a healthy system. A common misconception is that a GIS is just the database and the software used to analyse data and create maps. 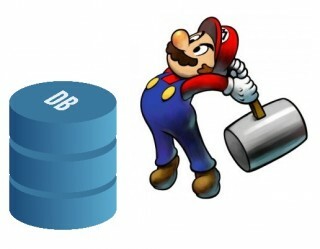 We hear that a lot, and that perception unfortunately de-values the true power of the system – creating an expectation that if you’ve got the best software (e.g. the big hammer) you can knock any nail on the head. The reality is that an organisation needs to pay attention to all five elements if it expects to get good productivity and outcomes involving spatial information. You might have excellent software like QGIS but running on a poor spec or sub-optimal computer. The data you are relying on could be out of date, or hard to find when you need it quickly. The people you are expecting to run complex models might lack the skills to do so efficiently. There could be a breakdown in the processes that define how information flows through the organisation. These problems can create inefficiency and distrust – in the technology and the data used to produce the outputs. Going back to my analogy about human health, organisations change and evolve over time – and so it stands to reason that their spatial information and technology needs do as well. Economic downturns (and upturns), company acquisitions, staff restructuring, new or ditched products and strategic directions can all have a high impact on the type and volume of spatially related questions generated within a business. Processes and models that worked well before may no longer be relevant, or just need some adjustment. A company may have evolved from an “ask the GIS guy” model to a high frequency demand for basic maps and tools, for which a web mapping application may be ideal. The technology landscape is also rapidly changing; advancements in computing, Software-as-a-Service, Data-as-a-Service, mobile data collection, workflows and Internet of Things represent opportunities for companies to enrich the information and resources presented to staff (wherever they are) to enable them to make more informed and timely decisions. When we get asked to do a GIS Health Check – like we did for the Office of the Environmental Protection Agency (OEPA) in Western Australia – the first thing we do is listen to the people who interact with the GIS, on both sides of the fence so to speak. Meeting with GIS analysts, Managers and the staff who seek support, gave us context on where the pain points, risks and opportunities are within the organisation. There’s also something in there at the beginning about clearly defining the objectives for bringing in a consultant to have a look. Often an organisation is comfortable with the state of a few of the 5 core elements of the system, and wants us to concentrate on just a couple. They may be chasing performance, data management and process streamlining benefits, for example, and have a lot of confidence in the people and software. For OEPA, the objectives were around standardising spatial data management and streamlining GIS workflows that supported a long-established environmental regulatory framework for development applications. There is a critical need to access historical information; but also to have a practical and standard approach for managing active projects. The GIS team are subject to resolution time-frames at different stages of the development application process, and so it is important that they can all work within a consistent and predictable structure. Having gone through the Health Check process we were able to assess their current environment, make a set of recommendations along with rough estimates of the effort to implement them, and then work with the GIS team to prioritise these into a plan for realising their desired Future State. Many of the recommendations were simply derived by getting the right people into a meeting room (with a bag of lollies and coffee) to come up with a consensus-based solution. Other recommendations were about recognising where a process step was missing, or where basic cataloguing or templates would assist in interactions between staff. Some benefits of doing a GIS Health Check just come from bringing in an outside perspective, and are not necessarily sought up-front; for instance we put in place a simple process framework to describe core GIS activities, that the GIS team at OEPA have embraced and are now using to share with other areas of the business where their tasks overlap. We identified a risk with their back-up regime that has since been mitigated. Having been through a number of GIS Health Checks, the other thing I tend to notice is that there is a lot of corporate knowledge and great ideas already sitting latent or partially implemented by staff. The time-factor is often the challenge that everyone faces in making improvements to the other four elements – whether that be migrating data to a new standard, documenting processes, building a business case for new software, or testing different hardware configurations. A lot of what we do as consultants is not new, it’s about compiling knowledge and focusing everyone in on a plan. If this has piqued your interest, feel free to email me directly or start up a conversation on Facebook, Twitter or LinkedIn.